This past Sunday, our team volunteered on a community project in Waltham, MA as a part of the September 11th National day of Service and Remembrance with volunteers from Boston Cares, City Year, and AmeriCorps Vista Project Leaders. The National day of Service was written into law in 2009 and is promoted heavily by the White House. President Obama and his family even made time in a busy weekend of attending 9/11 events to volunteer at a Washington, DC food bank. 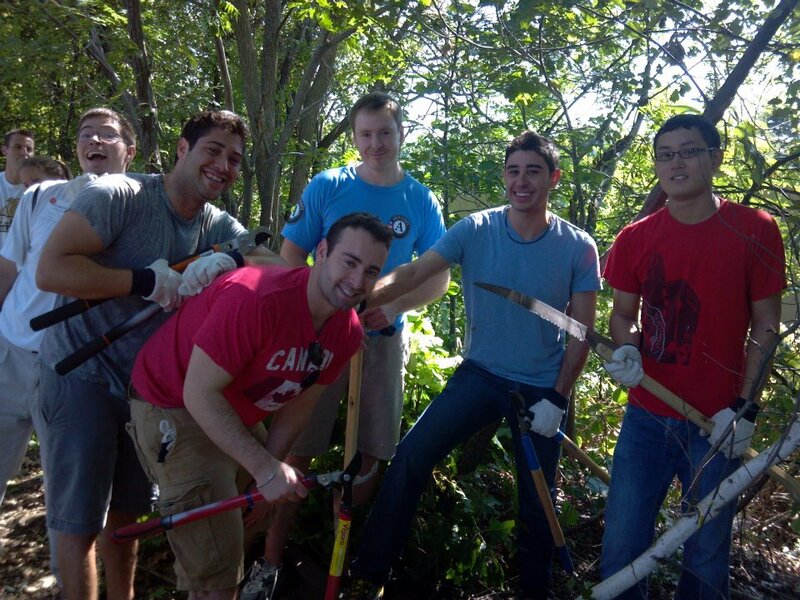 Team AltrUHelp volunteered on a project hosted by the MA Department of Conservation and Recreation designed to clear land on an unused railroad track that will be converted to a pathway eventually connecting eastern and western MA. This path will improve the community by providing a route for commuters to walk to transportation and add to the beautiful recreational nature trails. The project was organized by Boston Cares, a non-profit that organizes service projects around Boston year long. Our team members had a great time supporting the community and meeting great people from Boston Cares, City Year and the AmeriCorps Vista Project Leaders. What did you do this September 11th? Read what others did and Share your stories with us.